Thinking about giving keto a try but afraid it might blow your food budget? Are you on a ketogenic diet already, but wondering how to spend less so you can get your finances back under control? Perhaps, you’re wondering if keto is realistic and even sustainable for a long-term nutritional approach. It might not be if you’re knocking yourself out creating separate meals for yourself every day or if you don’t understand what a nutritional meal even looks like. To maintain a ketogenic life takes a whole new way of looking at food. You have to change what you eat, sure. And that can sometimes cost more than you spent on food before going keto, but to take responsibility for your health, you have to first transform how you think. Understanding what the food industry is up to and how to guard your food dollars takes more than a few cheap keto foods. It takes some real-life knowledge, so in this post, we’re going to offer 7 valuable tips for saving money on low-carb food. And then to help you maintain a nutritious ketogenic lifestyle, we’ll also share some of the products that we believe are actually worth buying. Ketogenic diets do not cost more than high-carb diets do. It’s easy to make healthier food choices and still stay within a tight budget, even when the bulk of your meals consist of meat, eggs, produce, and healthy fats. This is because you’re no longer buying all of the highly-refined processed foods that you were buying before. Instead, you’re focusing on nutrient-dense options, so you can easily buy less. Looking at ketogenic living as a temporary method to trim pounds can cause you to overspend because you’re more likely to give in to urges that soothe your feelings of deprivation. You don’t see what you’re buying and eating as something you’re going to still be doing 5 years down the road, so you’re more willing to spend the extra money right now. That’s fine, if you can afford it, but the first time you hit a stall or plateau, you’re likely to start using what you’re spending as an excuse to tear down the sustainability of low-carb diets. Budgets are based on sacrifices. You give up something to get something else that you believe is more important, but when the method doesn’t work as well as you hoped, the justification for overspending will start breaking down. To maintain a ketogenic lifestyle, you need to go into your low-carb diet with the intention of this being a long-term change. Keto on a budget is only possible if you first understand that your new eating style is permanent. If you’re cooking two separate dinners every day, one for your self and one for your family, it honestly won’t matter how many cheap keto recipes you collect, buying all of that food is going to drain your finances. It will also drain your motivation and energy. You don’t have to cook two separate meals. You can eat what the family is eating and just eliminate the carbs. For example, if you are fixing spaghetti for the family, you don’t have to cook yourself a separate keto-friendly meal. Just whip up a low-carb spaghetti sauce for everyone and serve yours over zucchini or green beans instead of noodles. Serve tacos in lettuce leaves or burrito filling in a bowl topped with sour cream and avocado. Shred up some cheap cabbage and use that for the bulk of a stir-fry instead of noodles or rice. Shredded cabbage also works well as a sub for pasta when making Alfredo dishes. Another alternative to fixing double meals is to make low-carb entrees that the whole family can enjoy and then add rice or potatoes on the side for your partner and/or kids. While it’s true that this will not always work, you can also squirrel away a few leftovers in the freezer for times when it’s impossible to decarb your family’s favorite meals. Keto is only as expensive as you want it to be. It doesn’t require you to up your previous intake of meat and other costly foods unless you were protein deficient before. Nor does it require you to pay for fatty, premium cuts of beef and pork. While you do want to try and incorporate as natural a diet as possible, you also don’t want to overdo the protein. In fact, if that’s what you’re doing, you’re likely doing keto wrong. Yes, protein foods cost more, and you need to eat enough to guard against muscle loss, but you honestly don’t need to eat more than 4 to 6 ounces at a single meal unless you’re doing Intermittent Fasting or a One-Meal-a-Day program. Thanks to the hunger-reducing benefit of being in the state of ketosis, a normal serving of protein is all you need. To avoid the temptation of overeating meat, sit down and figure out exactly how much meat you need for the week. If you feel better overestimating, then plan on 8 ounces for dinner and 8 ounces split between breakfast and lunch. That’s 7 pounds of boneless protein for the whole week. Since you’ll also be purchasing eggs and dairy, you won’t actually need that much, but planning for a little extra will allow you to buy in bulk when the price is right. Fill the freezer for when the price is higher and you’ll eliminate the stress of how you’re going to stay on plan when funds are tight. This is one of the most expensive habits you could fall into. The Food Industry uses a bliss point to control the amount of fat, sugar, and salt in their products. Bliss point is the point at which you feel satisfied. Since manufacturers want you to come back and buy more of their product, they dial in the fat, sugar, and salt to a point that is slightly less than bliss point. This keeps you craving processed foods and why a well-seasoned roasted chicken breast and pile of steamed broccoli isn’t exciting enough to hold your interest. When you’re addicted to certain foods, products, or the recipes you used to make before going keto, you’ll spend a lot of cash trying to recreate those dishes. It’s just as easy to get addicted to low-carb products as it is to get addicted to carby foods. A bottle or two of Torani sugar-free syrups to replace the orange juice in meat marinades can suddenly explode into an entire collection of sugar-free flavors. Once you’re addicted, special recipes can quickly advance to being common, everyday meals, making it almost impossible to stick to your budget. Unless you have unlimited funds, you’re not going to be able to recreate your previous diet. Look for new dishes that are easier on the pocketbook, foods you like better than the old ones. This will help to ensure that you don’t feel deprived. Variety can drain a lot of cash, especially if you’re used to serving something new and different every single day. Unless your budget allows you to buy a month’s worth of meat at a time, daily or even weekly variety might not be possible. That doesn’t mean you still can’t eat well. It just means you might have to limit your protein choices to chicken thighs, ground beef, and a ham steak one week, then switch it up with pork chops, ground turkey, and chicken breast the next. You can get a little more variety by shopping less often, like every two weeks or even once a month, but if that’s not possible, you’ll have to look for ways to make the same meat taste different. Look for recipes that will allow you to switch up the meat instead of only working with a single type or cut. Fix casseroles, soups, stews, stir-fries, and burrito bowls more often. Also, keep an eye out for ways to disguise leftovers. Taco filling can be served in lettuce wraps one day and then tossed into an omelet for another meal. You don’t have to always eat exactly the same thing every day. But a lot of keto dieters do exactly that. They make up a low-carb recipe and eat that for dinner every day, or lunch and dinner every day, until it’s gone. Then, they will make another recipe. For them, it works. There is nothing wrong with a few, well-selected, useful keto-friendly products to help you maintain your new low-carb lifestyle. In fact, we’re going to share with you a few kitchen items that we really like in just a minute. But if you feel that you have to purchase a ton of low-carb products in order to ditch the weight and that you can’t be on a low-carb diet without specialty tortillas, pastas, and breads every week, then you’re going to have problems sticking to a budget on keto. The mainstay of a keto diet is protein foods, produce, and healthy fats. Low-carb products should help fill in the gap and work as motivators and treats, to help you stay on plan, but don’t forget that most of these items are still processed foods, even though they are low in carbs. Use them sparingly and with mindful consideration of cost and usefulness. But let’s face reality for just a minute. Maintaining a ketogenic lifestyle requires you to love what you eat. You’re not going to stay motivated to lose the weight unless you actually enjoy living this way. Do yourself a favor and create a list of your favorite keto foods and recipes. You can arrange them in order of cost, if you like, but you really won’t have to if you make the bulk of your cooking fit within your specific food budget. Sticking to lower-cost foods for the majority of your keto shopping trip means you’ll have a spot for a couple of exceptions, especially if you make it a habit to spend less than what you’ve budgeted and let the excess money accumulate like a savings account. Even holding back just three or four dollars a week will give you an extra 12 to 16 dollars to spend on a luxury item by the end of the month. Doing keto on a budget doesn’t mean you have to toss out convenience or give up useful products that can save time, money, and give you a bit of normalcy. Below are four items that can help save money long-term, as well as make your life easier and more enjoyable. 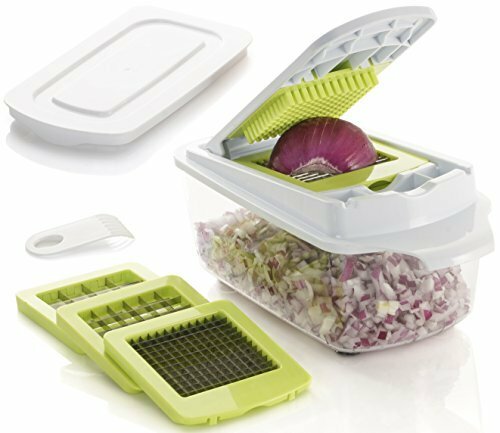 Spending less on groceries means you’ll need to keep an eye on the amount of food you’re also wasting, and this food chopper by Brieftons allows those on a budget to have some of the conveniences offered by expensive food processors. You can chop up a week’s worth of vegetables, ham, cheese, and even hard boiled eggs in just a few minutes. Instead of tossing your vegetables when they begin to wilt in the refrigerator, you can store what you can’t use right away in the freezer and use them later for soups, stews, and casseroles. The handy plastic container is 100 percent free of toxins like BPA, PVC, and Phthalates. It holds 8 cups (1.8 liters), which is about twice the size of other choppers on the market today. You chop your produce into the container, pop on the lid, and store what you need for the week. It can be quickly disassembled for easy hand washing, or put on the shelf of the dishwasher for easier cleaning. It also comes with a lifetime warranty. Why pay for expensive low-carb pasta when you can quickly and easily turn your zucchini or other vegetables into a great noodle substitute called zoodles? This is Brieftons’ latest design, which is stronger and more durable than earlier models. 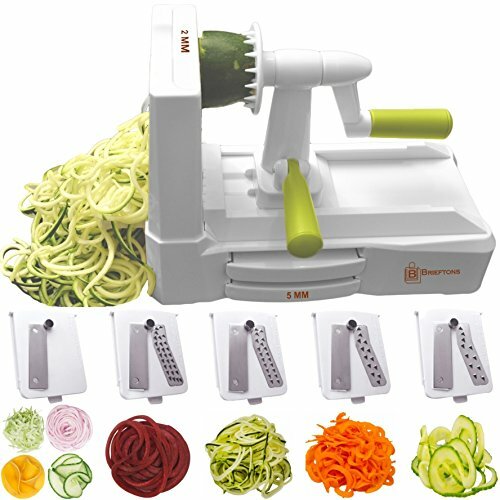 From spaghetti strands to pasta-like ribbons, this spiralizer can handle even the toughest vegetables, yet it is so simple to unlatch that even those with arthritis won’t have a problem switching out the blades. Perfect for spaghetti, casseroles, soups, Alfredo, and other pasta dishes. 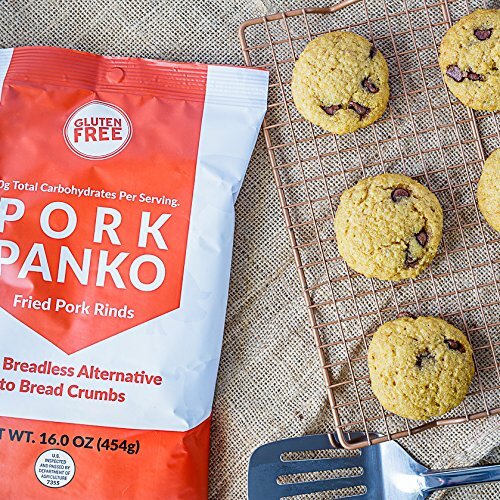 It’s simple enough to grab a bag of pork rinds from your local grocery store, toss them into the blender, and whirl them into crumbs, but the task can be quite messy and the particles come out uneven. Pork Panko crumbs are also known as pork dust because they are finely ground, uniform crumbs that are also salted and ready-to-use. At zero carbs, they are ideal for breading chicken strips, chicken nuggets, and pork chops; or use to replace bread crumbs in meat loaves, meatballs, casseroles, or any recipe that calls for bread crumbs. If placed in an air-tight container, they will stay fresh up to the date that’s printed on the package. 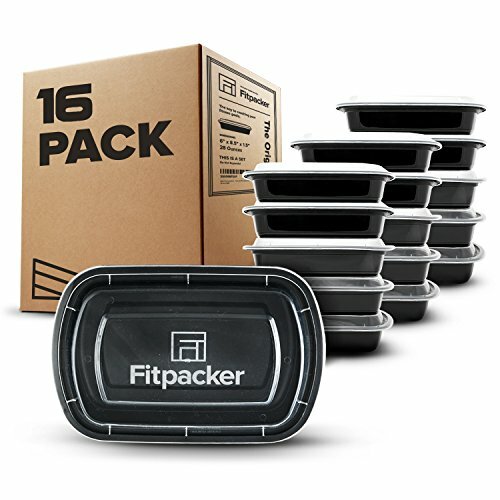 Fitpacker makes a set if sturdy, one-compartment, stackable prep containers that can help you organize your budget keto meals. These are very popular among keto dieters for lunches and quick on-the-go meals. They also work well if you are too busy to cook every day or need to fix yourself separate meals. Freezer safe, these microwavable containers hold up to 28 ounces of food, which gives you plenty of room for your keto meals. Certified to be free of BPA, Phthalates, and other toxins, they make bulk cooking for the week super easy. Since they are stackable, they also take up less room in the refrigerator than other containers do. Clean up is also a breeze. They can go in the top rack of the dishwasher and you don’t have to completely thaw them out before cooking. Leak resistant, they come with a SureLock seal and a 100 percent Customer Satisfaction Guarantee or your money back. Being on a budget is no excuse to avoid going on a ketogenic diet. Nor is it a valid excuse to quit when life tosses a few financial challenges your way. While keto does contain more meat, dairy, and other protein foods than a standard low-calorie diet, it doesn’t have to cost more. You can still eat the same amount of meat you ate before. Just leave out the highly-refined carbs and replace them with a simple salad and some nutrient-dense vegetables. Nothing more is needed to do keto on a budget than that. Heavy whipping and double cream, almond flour, cream cheese, and other products are nice to have, but not required. In fact, some of the most popular low-carb foods like nuts and cheese are directly related to stalls and plateaus. Grocery prices will obviously vary between geographical areas, but it’s the principles of doing keto that allow you to vary the diet to fit your own personal tastes and budget.